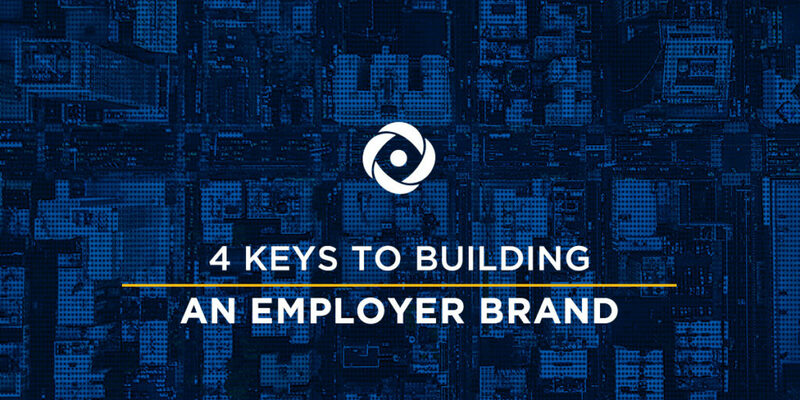 4 Keys to Building an Employer Brand - Acara Solutions, Inc. In today’s competitive talent landscape, companies of all shapes and sizes are trying to develop new strategies to recruit and retain top talent. Even companies with dedicated recruitment teams know that getting the best talent in the door is a difficult task, which makes it imperative that companies use the best strategies to differentiate their brand. One of the best ways to do that? A strong employer brand. To put it simply, the best way to recruit, is to not have to. According to new LinkedIn research, 83% of talent leaders believe that employer brands are crucial to hiring top talent. When employer brands are strong, and potential employees are seeking you out rather than vice versa, your company’s talent pipeline will be flush with fantastic résumés and candidates. But, with so many different brands out there competing for attention, it can be difficult to break through the noise. To get you started, below are some very simple, and low-cost strategies that companies like Zappos, Netflix, Google, and Virgin America use to help create and drive their employer brand. Your company isn’t the same as every other company out there. Tout your unique qualities—it’s what differentiates you from the pack. The best way to do so is your brand. One of the best ways to create a positive brand is empowering your current employees. Employees can be the biggest boosters to your business, as they share their experiences with friends and family who also repeat those stories to others. By building and promoting a winning workplace culture, and marketing that culture to your employees, they will provide companies with a compounding PR investment. Oftentimes your employees will become your best recruiters or sales people by simply enjoying what they do, and telling people about it. One great social media post by a happy employee can be spread to thousands of people in just a few clicks. This has been touched on already, but the power of social media is something that organizations of all shapes and sizes need to tap into. Take Southwest Airlines for example, they launched their blog Nuts About Southwest in 2006 to show candidates what life was like in the day-to-day operations of the company. To date, they are one of the most active brands on Facebook, and their employees regularly share posts and real-life scenarios of how the company is run. It not only engages current employees, but gives prospects a unique view into the life of what it is like to be a Southwest employee. Use your company’s marketing and design teams to proactively reach wider audiences on digital media. Through a myriad of marketing tools, organizations of all sizes can target their audience by geography and interests. Not only can they help with paid media, but marketing can also write and craft free content for audiences to consume while they are on their employment search. In today’s candidate-driven market, attracting top talent can be a challenge, but you can get ahead of the curve by getting proactive with your company’s brand. Acara Solutions, previously Superior Group. An Aleron Company.